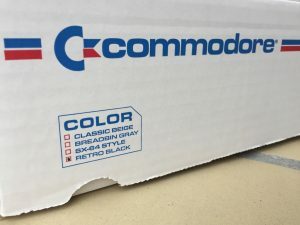 I recently purchased a C64 Reloaded MK2 motherboard (link) to accompany my other two C64 Reloaded boards (link, link) that I have in my collection. 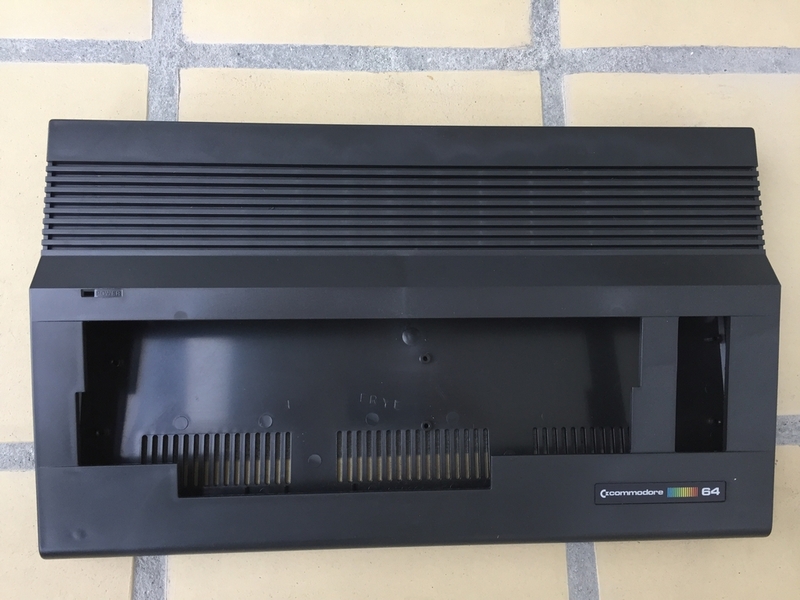 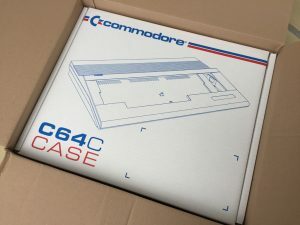 I guess I couldn’t ignore the thrill of getting new hardware… Anyways, instead of mounting it in an old case (C64C slim case or breadbox) I decided to get me a brand spanking new Commodore 64C case from Pixelwizard (link) in Germany. The master plan is to get all new parts to eventually build a brand new Commodore 64. 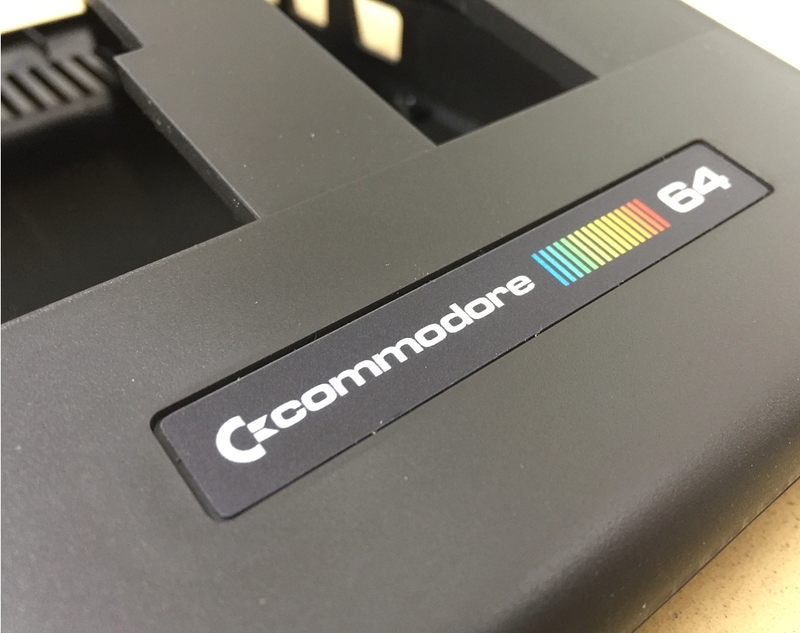 As I want to make an all black C64, the C64C slim case was chosen in the color of Retro Black. 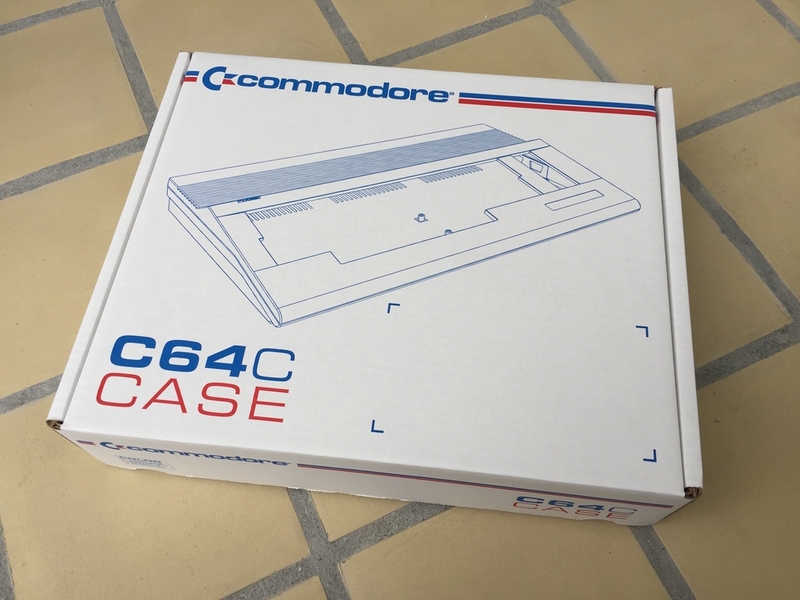 To make absolutely sure that I got everything unharmed, I also added an extra sturdy box for the shipment along with a blue LED for the case, a new silver label for the backside of the case, some black 3D printed keyboard mounts and a 3D printed C64 power cover. 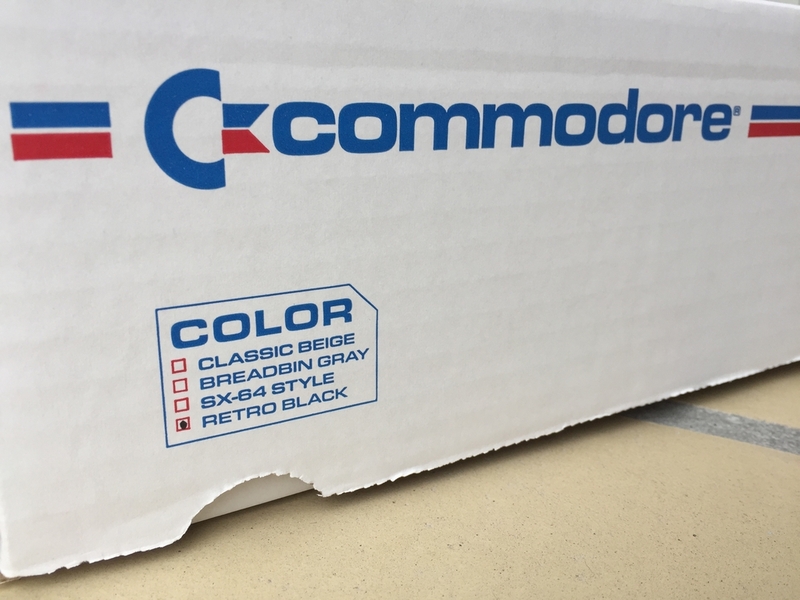 After af few days the package arrived at my doorstep. 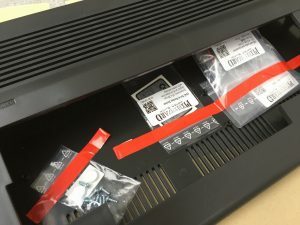 As evident from the images, everything was packed nicely and a lot of care has been taken to make it all look very nice for the end user. 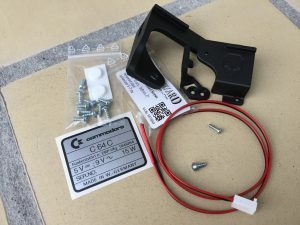 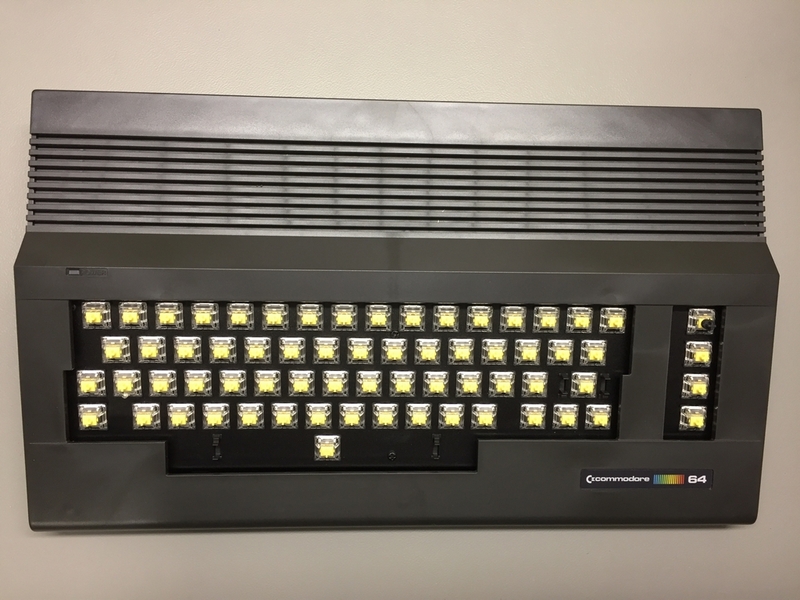 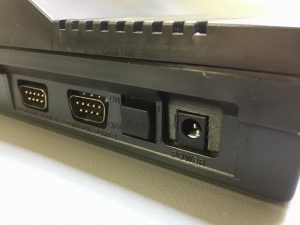 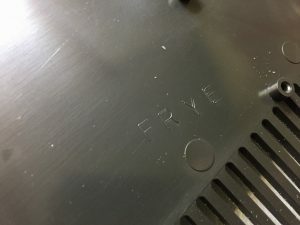 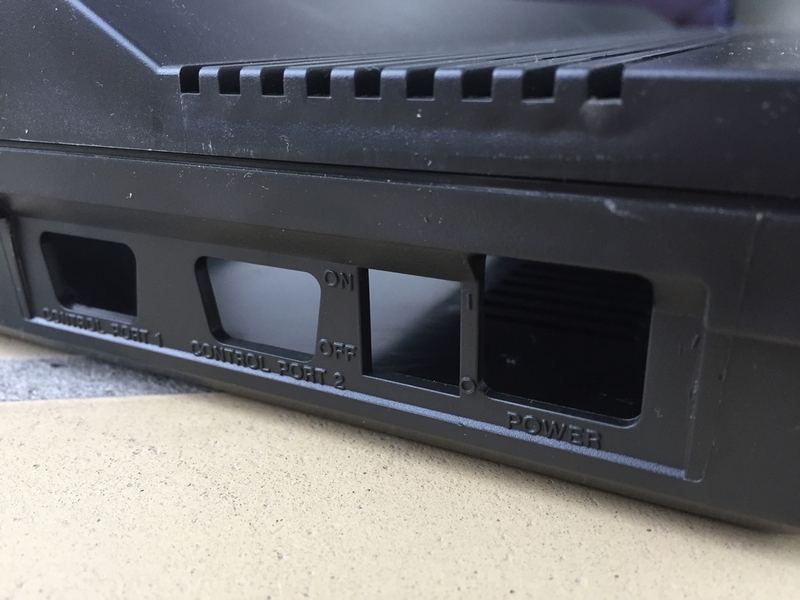 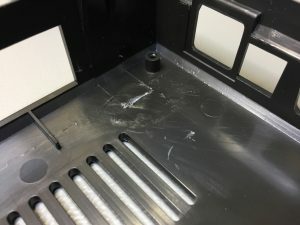 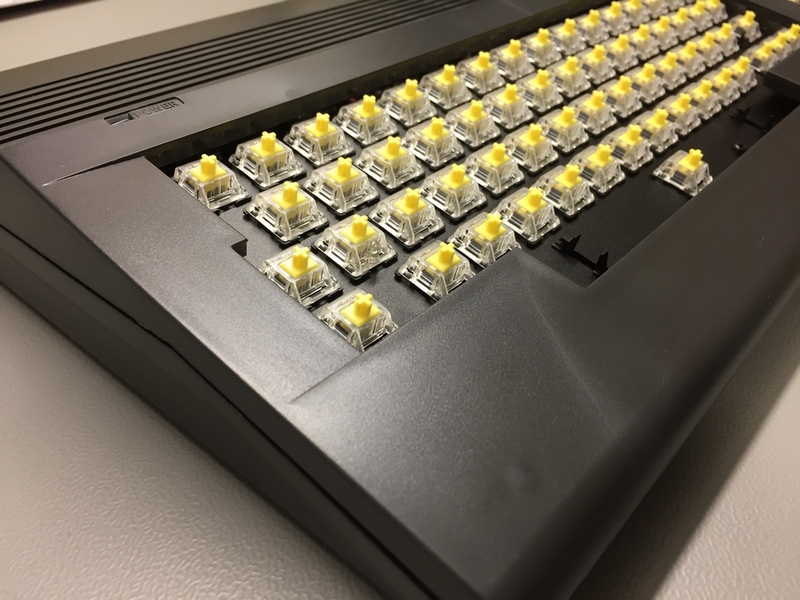 For those who have followed the journey of the original mold’s trip to Germany, may also have read about the imperfections of the new C64C cases. 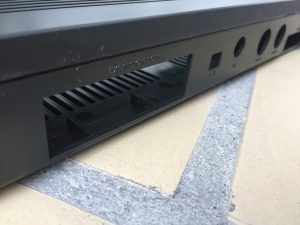 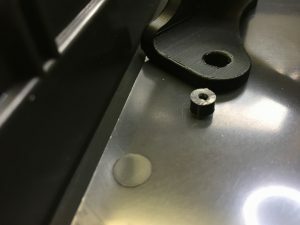 Some users have reported bumps especially around the screw holes on the top part of the cases. 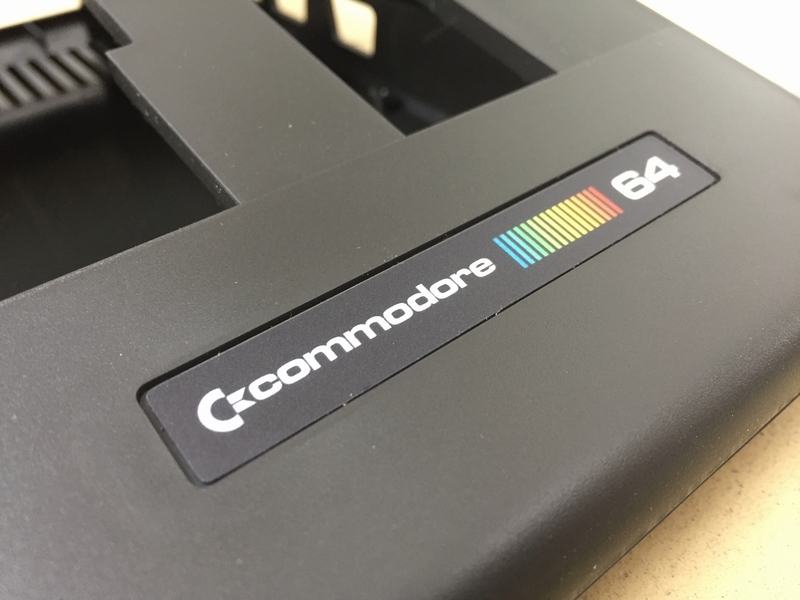 The flaws should be most visible on the darker colors and less on the beige version of the Pixelwizard cases. 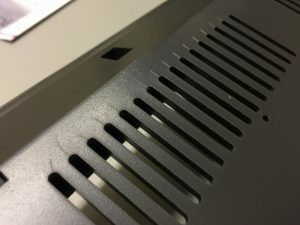 These visual imperfections are related to the plastic used for the production which differs from the Kickstarter cases. 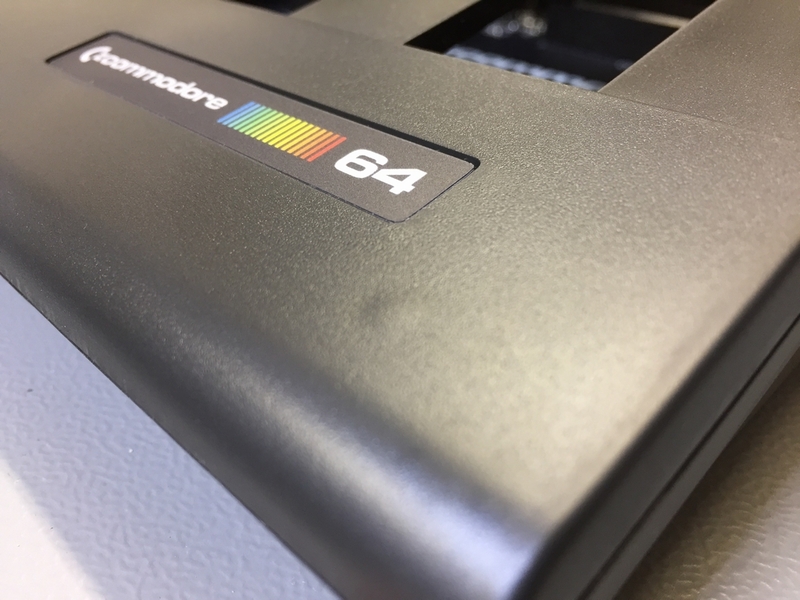 According to the producer, the Pixelwizard cases are made from a higher grade plastic material which has a silky smooth feel, but the grade of reflection is a bit higher. Thus, the imperfections are enhanced a bit in comparison to the Kickstarter cases. 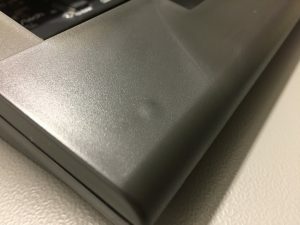 That being said, I have tried to take some images that show the bumps/imperfections to the best of my ability. I found the three screw bumps and some streaks on top of the case and some scratches and streaks near the venting holes on the bottom. 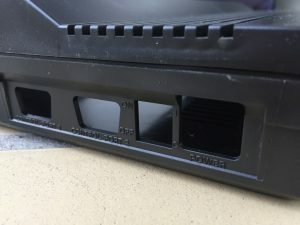 To be honest, I really don’t think it’s that big of an issue 🙂 I really didn’t notice it until I started reading about it… (the power of the internet, huh?) 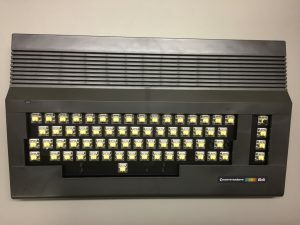 My approach to Commodore 64 machines, is that when I use them, the light is dimmed and focus is entirely on the screen. So this is absolutely no biggie for me! 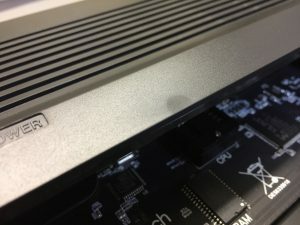 Just for completeness, I also took some image of the inside of the case. 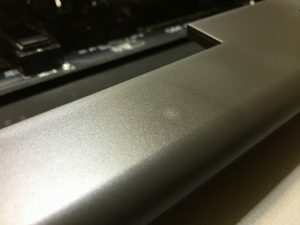 Here are a few marks/scratches from the molds also visible. But hey, it will be hidden underneath the motherboard so I couldn’t care less. 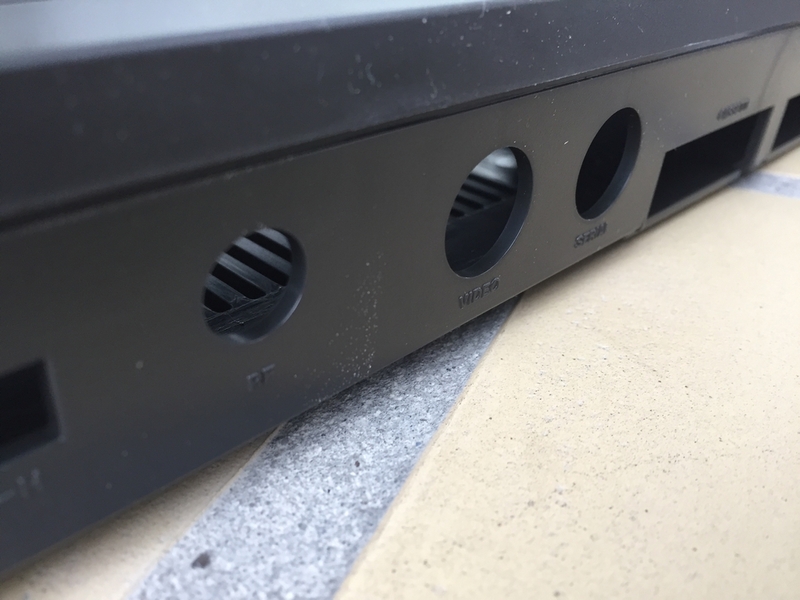 However, I did find an issue with the holes used for the screws connecting the top part to the bottom part. 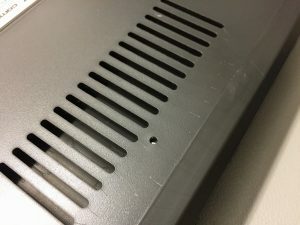 As evident from the images, the holes of the bottom part of the case were still clogged with plastic from the production. To fix it, I simply used a suitable self-tapping screw to penetrate the excess plastic. 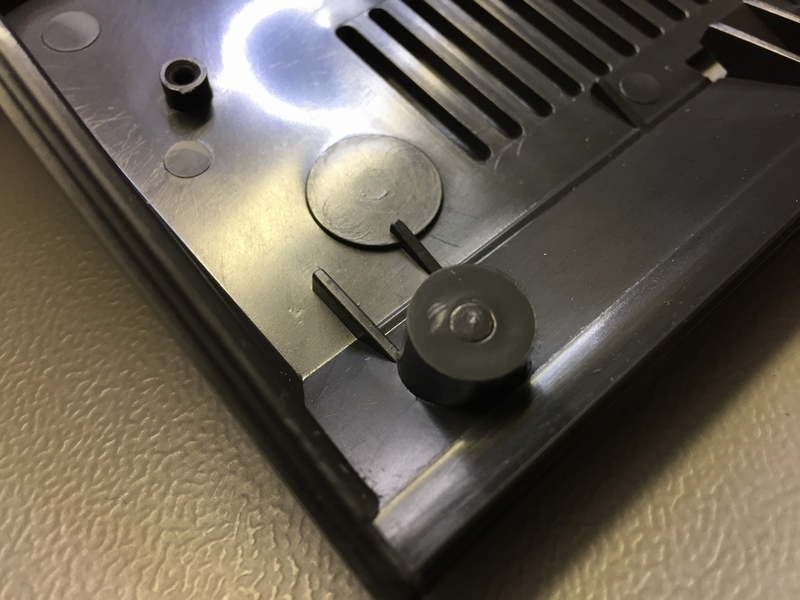 Quick fix and it cannot be seen when everything is assembled! 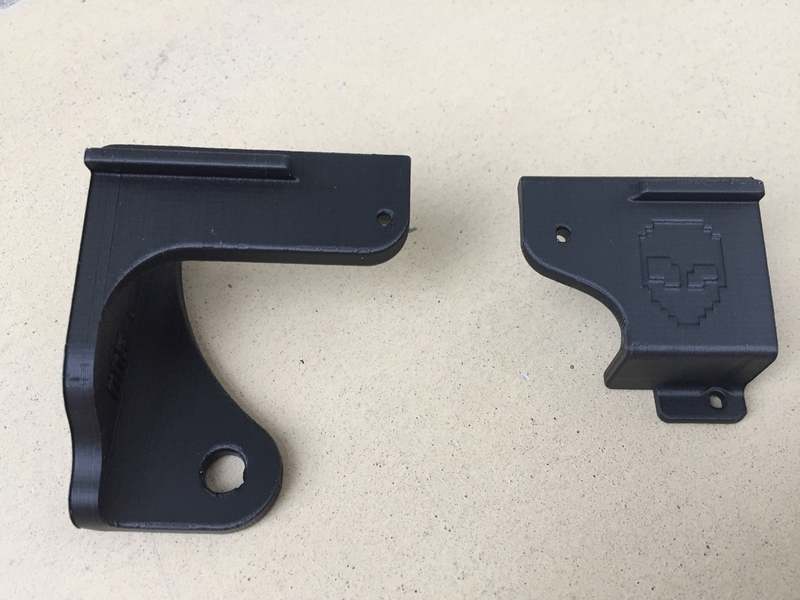 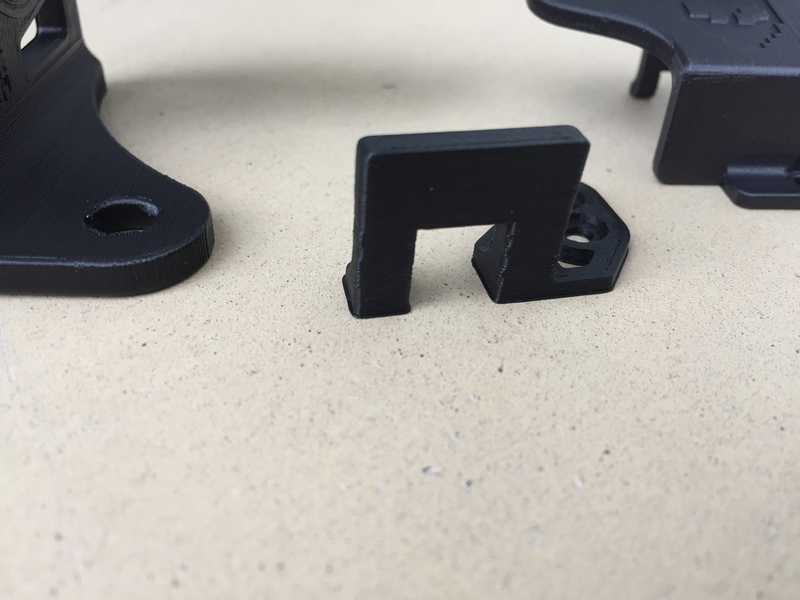 To honor the black theme, I also ordered some black 3D printed keyboard mounts and a black power cover. 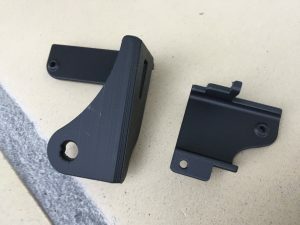 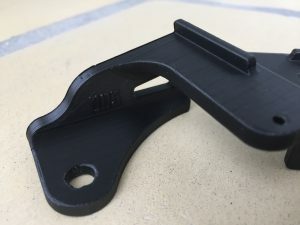 The quality of the prints are acceptable but the finish is not as nice as the ones I’ve ordered previously from Shapeway (link). 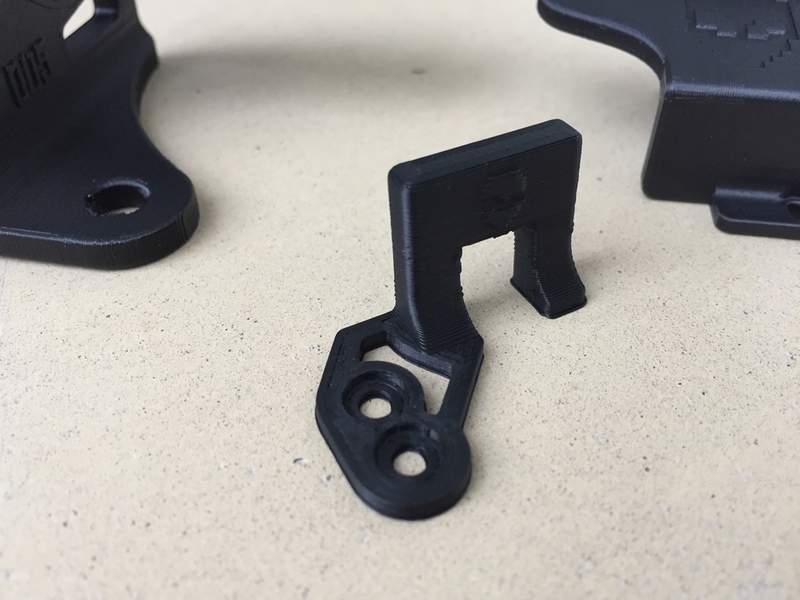 However, the plastic seems to be more sturdy and look like they can withstand some serious key-pounding! Please note, that before fastening the motherboard to the case, make sure that the plastic screw hole at the bottom left of the case is trimmed down a bit so it does not stick out of the 3D mount! This is very important to minimize the risk of breaking the screw and/or the case! 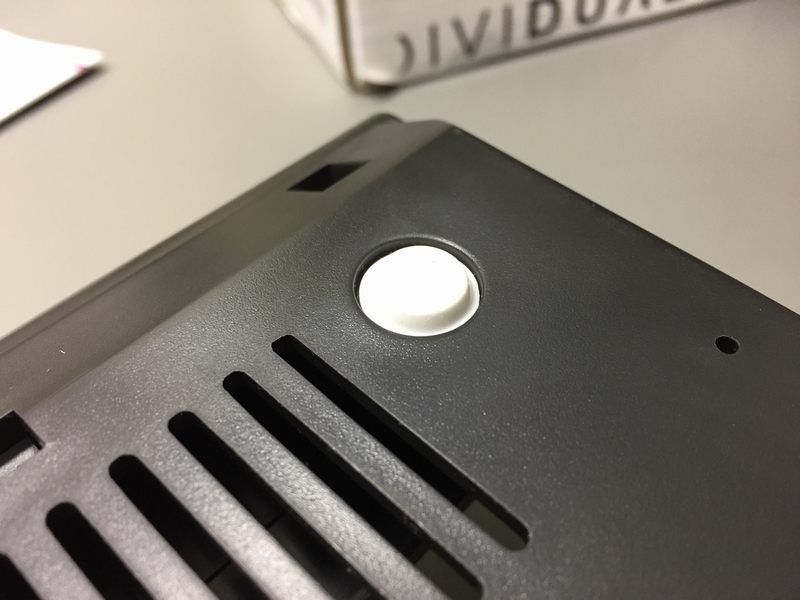 If it is not trimmed down, it is impossible to fasten the keyboard mount. 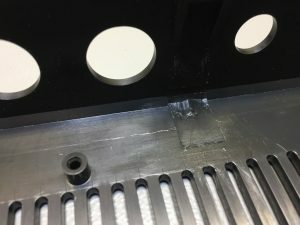 I have previously broken a screw in a Kickstarter case because I overtightened it. 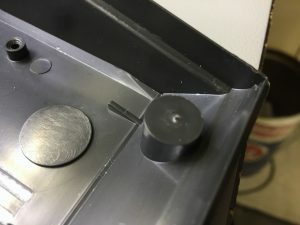 Getting it out did not do any good for the case as I had to drill it out and left marks on my precious case… The trimming part is really easy with a sharp knife. After the trim, the motherboard can be safely secured to the bottom of the case. 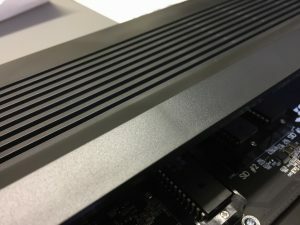 Finally, some more images of the machine with a MechBoard64 (link) mechanical keyboard installed. 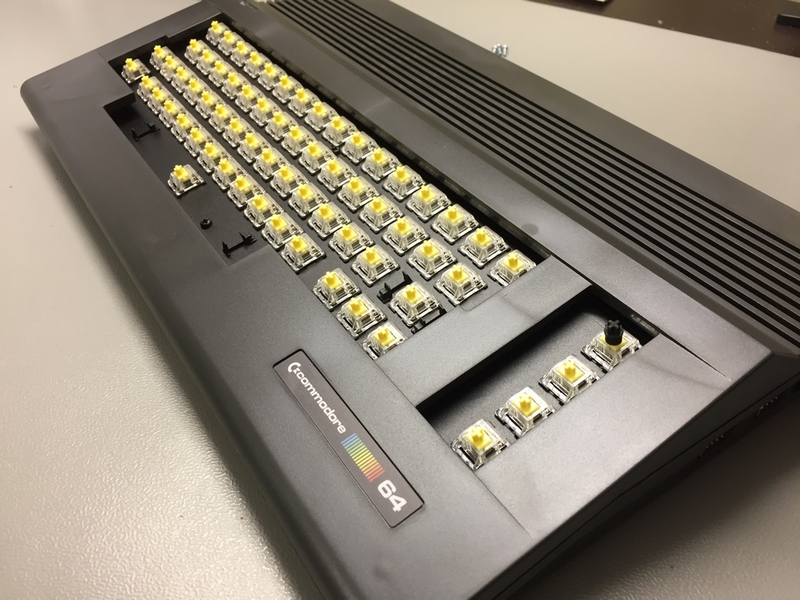 All I need are some new keycaps and I’ll have a brand spanking new C64 machine! I really hope Phase5 from the Indiegogo campaign will eventually deliver! 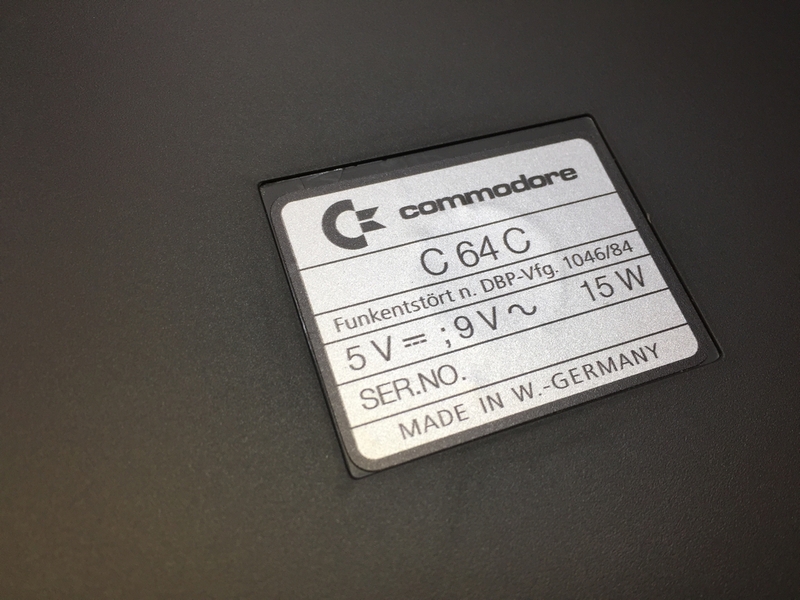 Nicely done Pixelwizard! 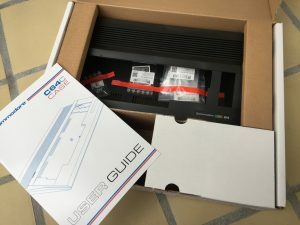 When I need a suitable home for my future Ultimate64 motherboard, a Pixelwizard case will definately be my first choice! 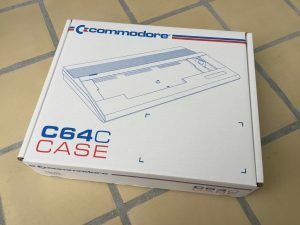 Ahh, welcome to the Pixelwizard C64 Case owners club. 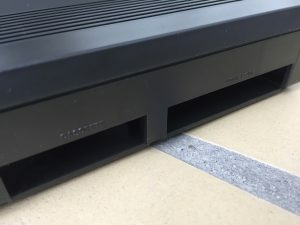 😉 I agree, those cases, despite their imperfections, are absolutely worth their money. 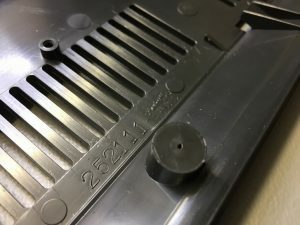 One has to keep in mind that the injection moulds have an age of several decades! 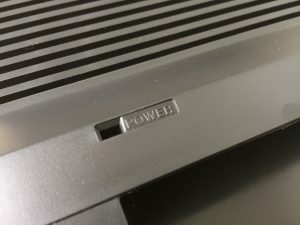 I’ve also put my Reloaded Mk2 into a Pixelwiszard case, but I chose a breadbox brown colour, which also looks pretty neat in combination with the C64C slim design.